model: 3WF-500LA. dimension:2390x980x1190(mm) (LXWXH). power:5.5kw. liquid pump:plunger. model:LL80A. rotate speed:1200RPM. POWER:3.68KW. CONTAINER CAPACIT:500L. Main charater:cralwer type and small turning radius. move type:1.romote control self propelled. 2. manual control self propelld. 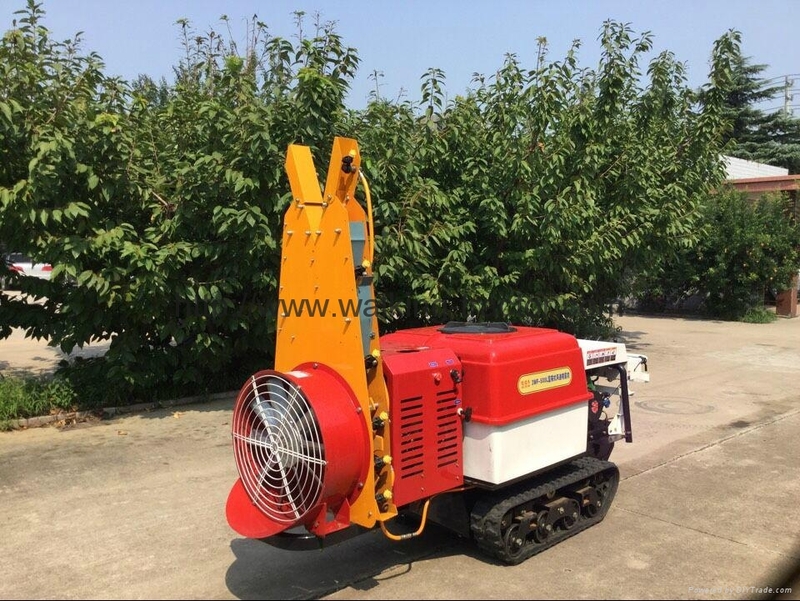 3.ride type manual control self propelled. mode of operating. semi circular.more nozzle spraying. portal frame hanger rod sprayning and hand type gun spraying. widely used in orchard. 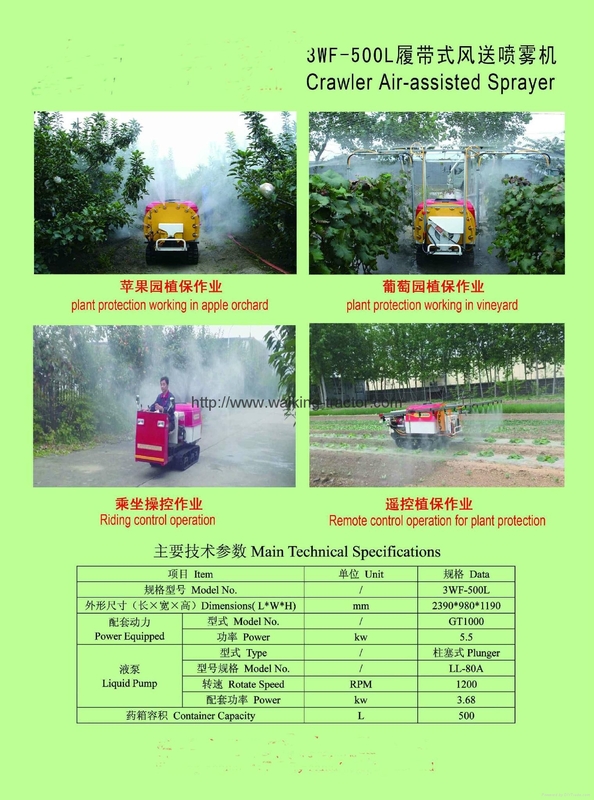 vineyard.the protection forest.and landscape tree lawn.to pest control and prevention.equiped with spray rod.can use for pest control and prevention for shallot.gingerand other commercial crops.also can used for spraying the herbicide in wheat field.